Monkey GO Happy Christmas is the latest installment in the Monkey GO Happy series created by Robin Vencel. 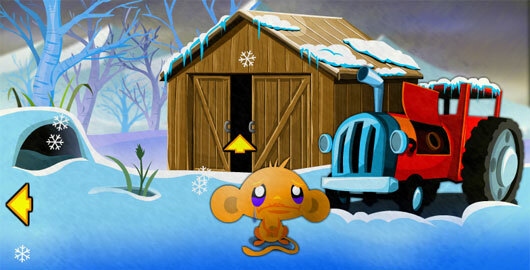 Your goal in this family friendly Point’n’Click Puzzle game remains the same: click objects and do other stuffs with your mouse to make the Monkey(s) GO Happy! Posted on Sunday, December 23rd, 2012. Follow any responses through the RSS 2.0 feed.